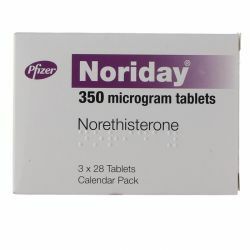 Norimin contains two hormones - a progestogen hormone called norethisterone and an estrogen hormone called ethinylestradiol. These two hormones act together to prevent pregnancy. Always take this medicine exactly as your doctor or pharmacist instructs you. 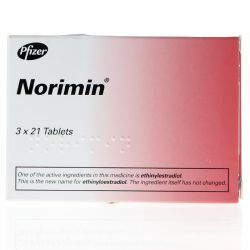 Consult the Patient Information Leaflet for more information about taking Norimin. Norimin can be taken with or without food. Take the first tablet on your first day of bleeding. This is the day when your period starts. Take the tablet marked with the correct day of the week. You will be protected at once as long as you take a tablet every day. You can take the tablet at a time that suits you, but you must take it at about the same time every day. Take a tablet every day until you finish a blister strip. If you cannot start the tablet on the first day of your period you may start to take it on any day up to the fifth day. However, if you do this, you may not be protected for the first seven days, so you should use another method of contraception such as a condom during those days. 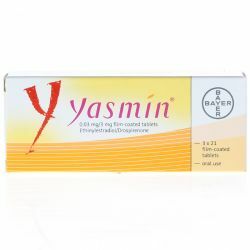 Once you have finished all 21 tablets, stop for seven days. You will probably bleed during some or all of these seven days. Then, start the blister strip. Do this whether or not you are still bleeding. You will always start the next blister strip on the same day of the week. You are protected during the seven-day break, but only if you start the next blister strip on time. The first tablet in your blister strip is the worst pill of all to miss or take late. The active substances are norethisterone and ethinylestradiol. The other ingredients are maize starch, polyvidone, magnesium stearate and lactose. It is very important to consult the Patient Information Leaflet about possible risks and side effects before taking Norimin. pemphigoid gestationis (a rash previously known as herpes gestationis typically with blistering of the palms of the hands and the soles of the feet). if you have had or have bad migraines. contraceptive method, such as a condom whilst taking Norimin. you have an intolerance to some sugars, contact your doctor before taking Norimin.